The ADOC chaplain is a Christian, Ray asserted, and allowing that employee into the execution chamber violated the First Amendment's Establishment clause. Ray had wanted his spiritual adviser, Imam Yusef Maisonet of Masjid As Salaam in Mobile, to be in the chamber with him. Maisonet, it should be noted, is a religious volunteer and not an employee of the ADOC. At the mere mention of alleged discrimination against a Muslim, the trumpeted alarm was sounded in various Islamic activists groups like the Council on American-Islamic Relations (CAIR), and by individuals such as Linda Sarsour. Sarsour said denying Ray a cleric of his own faith makes the death penalty "even CRUELER." "Mr. Ray is asking for the same thing that every other inmate on death row is afforded -- for a spiritual advisor to be present with him in his last moments," CAIR-Alabama government affairs coordinator Ali Massoud said in a news release. CAIR has falsely accused government agencies of anti-Islamic practices, including the U.S. military's Special Operations School, where I have been a regular guest lecturer for eight years. Sarsour has come under recent criticism for her anti-Semitic statements and her refusal to disassociate herself from bigoted Nation of Islam leader Louis Farrakhan. Her obstinacy has led many women's rights advocates to call for her removal as a leader of the national Women's March. One has to question how Sarsour's advocacy for Domineque Ray balances with the rights of Tiffany Harville, who, as a young woman of 15, had all of her hopes and dreams viciously snatched from her by the monster Ray. According to court papers, Ray and an accomplice "raped and repeatedly stabbed ... Harville in a cotton field outside of Selma, Alabama. They left her abused body in the field, where her bones would be found almost a month later." The illogical defense of the killer Ray's religious rights quickly spread through the media. Noted conservative columnist David French argued in the National Review that not allowing the murderer the imam of his choice was "a grave injustice" that denied him "consolation at the moment of his death." The ADOC successfully argued that allowing a non-employee into the execution chamber would create a security threat. It also argued that Ray never demanded his personal clergyman be present during years of appeals, but raised it just two weeks before his execution was untimely and without merit. Ray had been on death row since 1999, the ADOC argued, and his claim that he did not know that non-ADOC personnel were not permitted in the chamber was false. 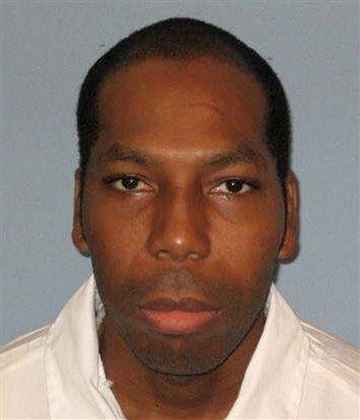 Alabama executed 45 people in the 20 years Ray sat on death row. None of them, Muslim or non-Muslim alike, were ever afforded the right to have a non-ADOC employed religious adviser in the execution chamber with him. The Supreme Court ruled Feb. 7 in favor of the ADOC in a 5-4 decision: "Because Ray waited until January 28, 2019 to seek relief, we grant the State's application to vacate the stay entered by the United States Court of Appeals for the Eleventh Circuit." In the end, Ray was shown much more compassion and dignity at the hour of his passing than any of his young victims. The Alabama Department of Corrections gave him a Quran and allowed him to pray with Imam Maisonet in a holding cell just prior to his execution. Tiffany Harville, Reinhard Mabins, and his brother Earnest's cries for mercy to a cold blooded killer went unheeded at the hour of their deaths. The misguided claims of anti-Muslim bias by groups like CAIR or individuals like Linda Sarsour do not serve the pursuit of justice for victims of violent crime, they only obscure it.